Thermal phase change materials completely fill interfacial air gaps and voids. They also displace entrapped air between power dissipating electronic components. Phase-change materials are designed to maximize heatsink performance and improve component reliability. Upon reaching the required melt temperature, the pad will fully change phase and attain minimum bond-line thickness (MBLT) – less than 0.001 inch or 0.0254mm, and maximum surface wetting. This results in practically no thermal contact resistance due to a very small thermal resistance path. 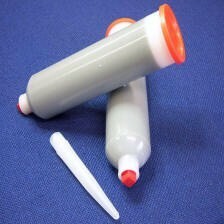 At room temperature, Thermal phase change materials are solid and easy to handle. This allows them to be consistently and cleanly applied as dry pads to a heat sink or component surface. Thermal Phase Change Materials softens as it reaches component operating temperatures. With light clamping pressure it will readily conform to both mating surfaces. This ability to completely fill air gaps and voids typical of component packages and heat sinks allows thermal phase change material pads to achieve performance superior to any other thermal interface materials. 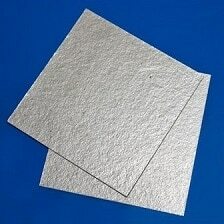 Standard thermal phase change material products are electrically non-conductive however metal-to-metal contact is possible after the material undergoes phase-change, decreasing their electrical isolation properties. 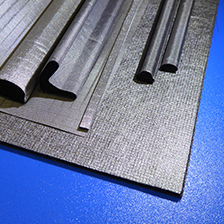 Shielding Solutions offer two types of phase change materials—traditional thermal interface pads and Dual Phase Change Polymer Solder Hybrids. Interface Materials consist of binder and fillers which both phase- change to exhibit the lowest thermal impedance of the phase-change family. 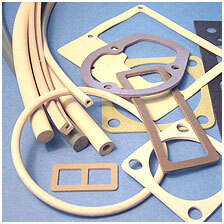 These Thermal Interface Materials provide superior long term reliability and performance. 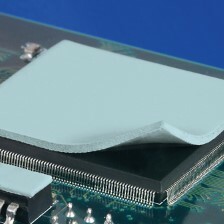 For optimum performance, the pads must be exposed to temperatures above 64ºC during operation or by a burn-in cycle to achieve lowest thermal impedance and highest thermal performance.